Cats entertain us, comfort us, and, in this ultra-hip pint glass, help us keep track of whose drink is whose. 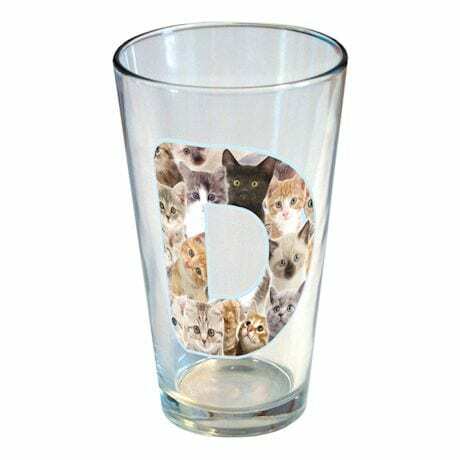 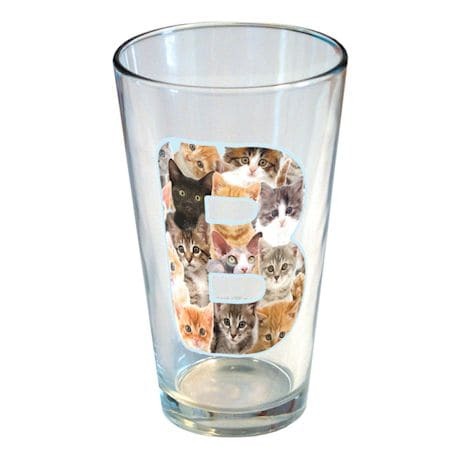 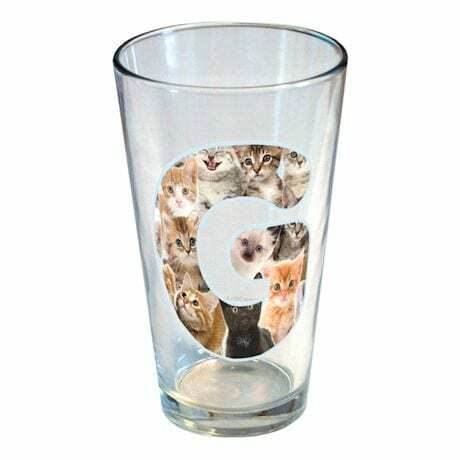 Artfully decorated with kittens in the shape of a single initial, this pint glass is a completely unique gift for any hard-core feline fan. 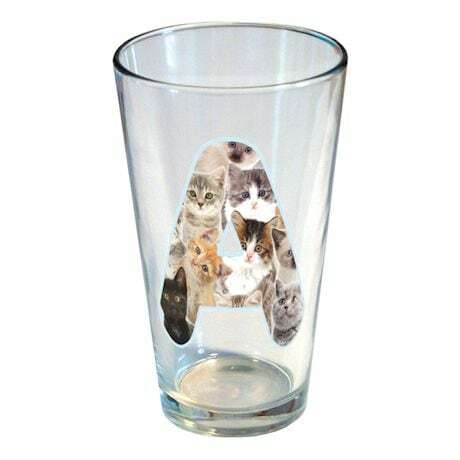 Hand wash. USA. 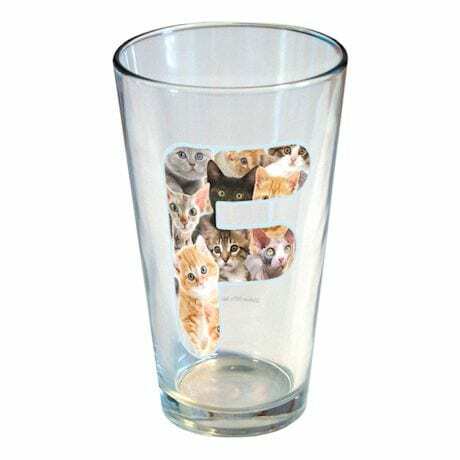 5¾"; 16 oz. 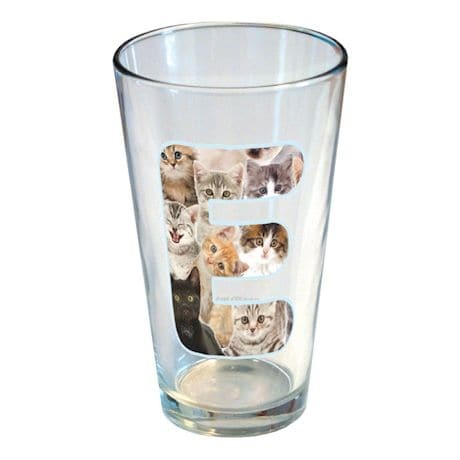 Specify 1 letter (A-Z) for personalization. 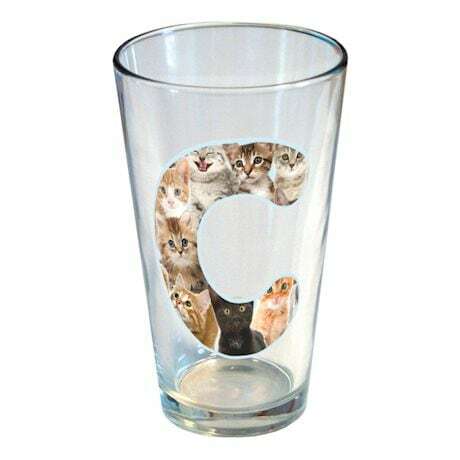 Item can only be shipped within the Continental US.